Thoughts have power… Contemplate …. They can move you… They can heal….If they ignite the light within…. 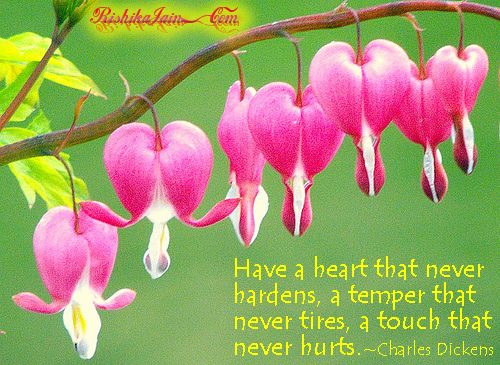 they can change your life…Wish to express gratitude to great people like Charles Dickens for writing wonderful prose …. a gift to the world…. Heart Quotes – Inspirational Quotes, Pictures and Motivational Thoughts.